What do you need to get done before you come out to Hogback? Don't worry - paint is removed easily by machine or hand-washing clothing/gear! 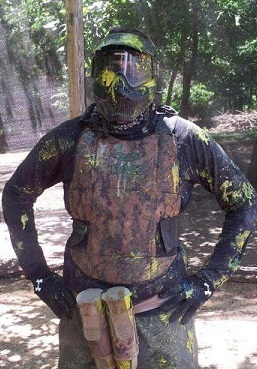 Paintball by its nature is a dirty sport. You are covering each other with paint, after all! With that in mind, it's also important to remember that Hogback is completely outdoors, so there will be dust and mud as well. Keep these things in mind when you're planning, and you'll have a great time! View a selection of sample safety brief videos to prepare for your next trip to Hogback.